This is one of those projects that is super useful and way overdue. It’s not a particularly glamorous project because honestly, it’s not going to look a whole lot different at the end than it did in the beginning. It’s always a lot more fun when the project looks completely different at the end with a big dramatic before and after reveal. With that said I’m still excited about this one. I really needed a good way to store my hand held power tools but I also wanted to make sure it was a mobile idea. My shop is small so every square inch is important. There are also a lot of cinder block walls so I don’t want to permanently hang an entire french cleating system. Besides, if it was mobile I wouldn’t have to walk back and forth getting tools all the time. I can just move them to the area I’m working in. 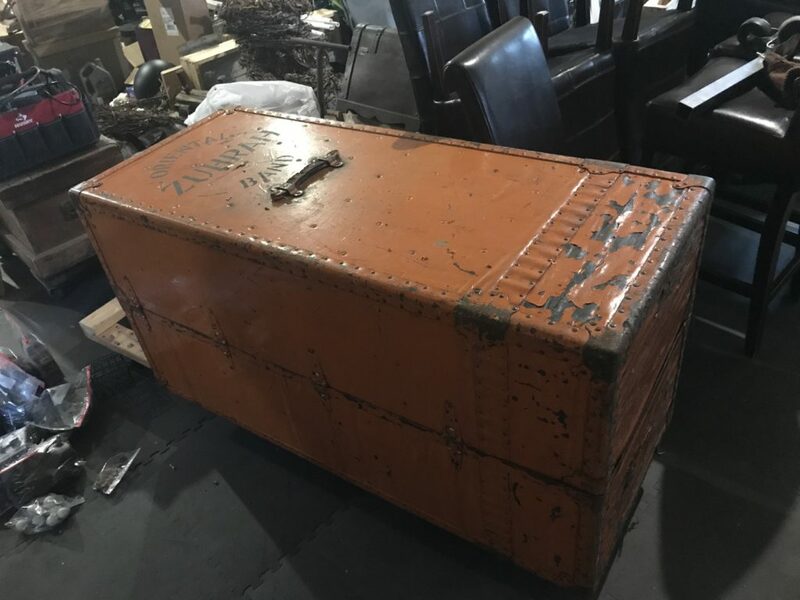 Back story on the trunk. I found this at a pop up show I am a vendor at from a fellow vendor. I agonized over the price for 3 days before I pulled the trigger. We haggled and I got it down to $125.00 from the original $160.00 he was asking. 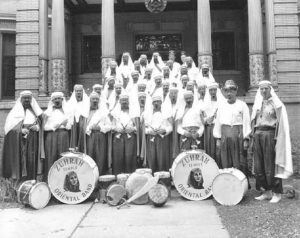 It’s from the Zhahura Temple Oriental Band created in 1925. I guess it’s a midwestern Shriner thing with some sort of Asian theme. Yet the ONLY picture I could find was a bunch of guys dressed like Arabian Knights with a Sphynx pictured on there bass drums?!? Not really sure how Arabian culture can be considered Oriental but at either rate it feels a tad racist so I think we are going to convert the logo over to Lucky Devil stuff. I will do some follow up and make a video to post on my social media sites of the finished product. So stay Tuned!